Oil on hardboard panel, 6" x 7". 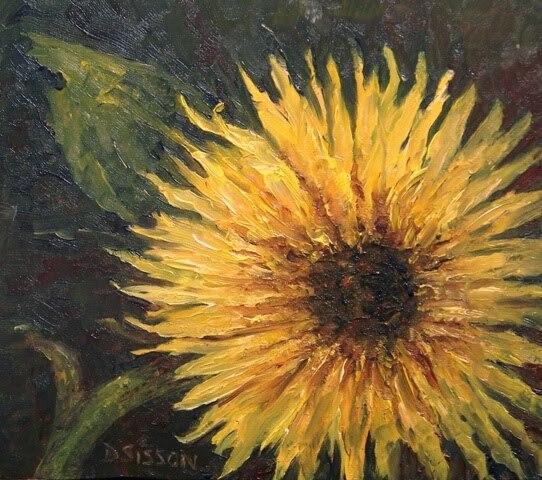 This variety of sunflower, named "Lemon Eclair", is definitely different from the traditional sunflower that I usually paint and so it was a challenge and some fun at the same time. The profuse yellow petals surrounding the smaller dark center are spikey and fluffy. Lemon sunflowers make their own statement I believe.